For the third year running, the Civil Service is among the stand-out winners in the ENEI (Employers Network for Equality & Inclusion) Awards. At this year’s awards ceremony, at the Law Society in London, the Civil Service repeated its success of 2014 by being named “Public Sector Employer of the Year”. As well as the overall public sector award, the Civil Service as a whole won two further awards: for Inclusive Culture, showcasing the success of the Talent Action Plan/Removing Barriers programme, in particular the Mutual Mentoring, Role Model Programme and Positive Action Pathway initiative; and Excellence In Training - for the Positive Action Pathway (Levelling The Playing Field). It was fantastic to see civil servants in so many departments and agencies so strongly represented at this year's national ENEI awards. Huge congratulations to everyone who entered - you're all winners! The significant number of Civil Service entries offers a snapshot reflection of the great work led by so many teams out there in the business. I'm delighted, too, that the Civil Service as a whole received three awards. We're still on our inclusion journey, with undoubtedly more to do, but this is fantastic acknowledgement that we're on the right path. 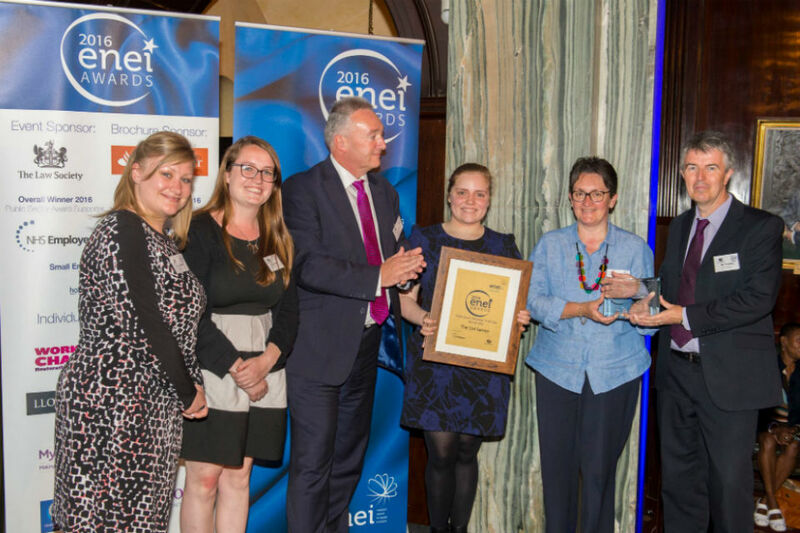 The ENEI Awards, covering both the public and private sectors, acknowledge and celebrate those with a commitment to good practice above and beyond legal compliance and innovative approaches that will inspire other employers. Congratulations of receiving this award! Congratulations! A well deserved win for all the colleagues & Departments that were nominated.